Fun little hats all in rows. 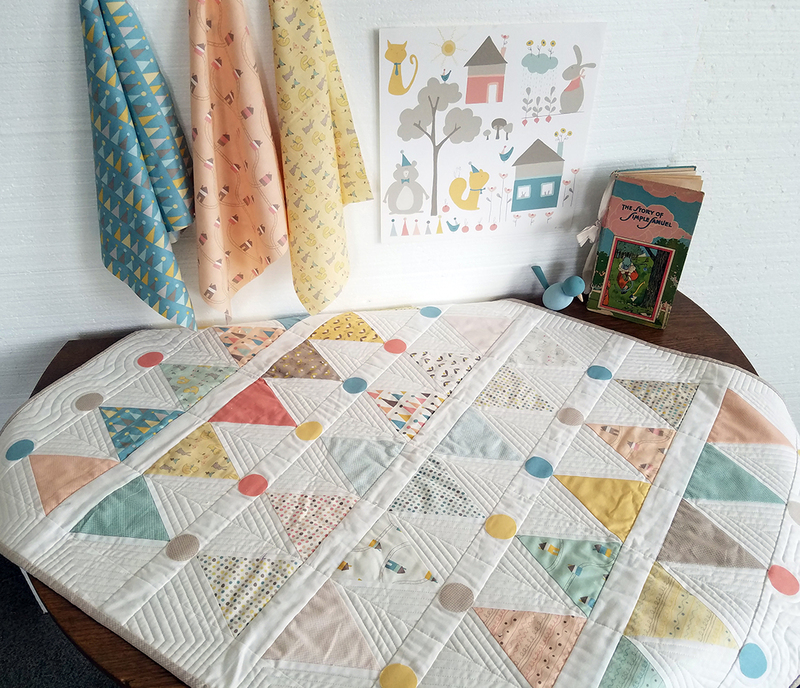 This pattern uses a Moda Fifth and Fun Charm Pack™ by Sandy Gervais and a EZ Quilting® Tri-Recs™ tool to make the triangles. The pattern requires one Fifth and Fun Charm Pack™ and extra fabric for background.